The Church has wandered far from the simplicity which is in Christ. Theologians have lost (if they ever possessed it) the "mind that is in Christ" and the outstanding need of the Church today is to relinquish theology, to let go all doctrine and dogma and to turn upon the world the light that is in Christ, and thus demonstrate the fact of Christ's eternal livingness, and the beauty and the love which it can reflect from its contact with Him, the founder of Christianity but not of Churchianity. We’ll have more on that after discussion of the full moon. Brexit has been extended to Halloween. Someone has cast a spell on the EU and UK, apparently. This move has shattered the united front of the Europeans. Brexit is not simply about the UK. It is about the entirety of Europe and its evolving future. The Mueller report was released, finding there was no collusion between the Trump campaign and the Kremlin. Democrats in the US are expected to double-down. Assange has been arrested and dragged from the Ecuadorian embassy, setting a terrible precedent for press freedom and international asylum norms. Erdogan’s Party suffered defeats in the recent Turkish elections. Relations between Turkey and the US are increasingly strained. Erdogan is trying to claim election fraud. Bibi Netanyahu was re-elected to a 5th term in Israel, vowing now to annex the West Bank. The Middle East and Europe now face some very serious choices. Trump has unilaterally recognized the Golan Heights as Israeli territory, contravening international law. This short-sighted plan played to US and Israeli domestic politics. The State Dept. in the US designated the Iranian Republican Guard Corps as a terrorist organization, again in contravention of international norms. Iran and its allies are preparing for war, in a worst-case scenario. They feel their very survival is threatened.. The Italians have signed on to China’s Belt and Road Initiative, in defiance of the US and EU. The UK will soon follow suit, if the Royal Family has any say. There have been uprisings in Algeria against its leadership. This will result in a new constitution for that nation. The Libyan National Army launched a surprise offensive to eventually retake all of Libya. There was a military coup in Sudan, deposing the leader there after 30 years of rule. 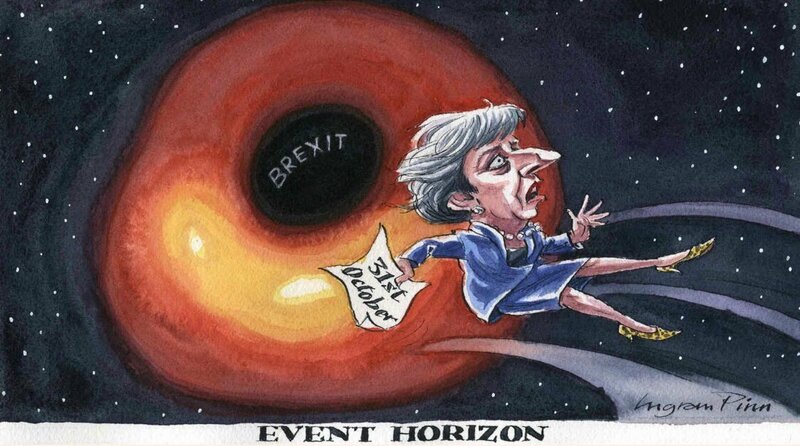 We have had our first images and thus confirmation of a black hole, thus confirming Einstein’s theory. It was a huge day in astronomy and astrophysics, and for humanity. The existence of the extinct Homo luzonensis species of humans was discovered in the Philippines, adding another notch in our understanding of the evolution of our species. It has been quite a lot to take in, and much of it will produce results in the months to come. To summarize, these events will produce greater tensions and instability in the Middle East, embolden Israel and bring tensions to a hair-trigger level. It will take tremendous patience and forbearance by Iranians and resistance parties to avoid a larger conflagration. There are also tensions arising, apparently simultaneously, in northern African states – all of which have large oil fields. There may or may not be a story behind the scenes pushing all of these conflicts. And finally, with the Brexit extension, politics in the UK has now become that much more heated, and by extension politics in the EU. EU parliamentary elections are coming next month, and now the UK will be included. The monolithic structure of the EU is being challenged and over the next years we are likely to see fundamental changes in the structure of EU governance, as well as changes in government in the UK. 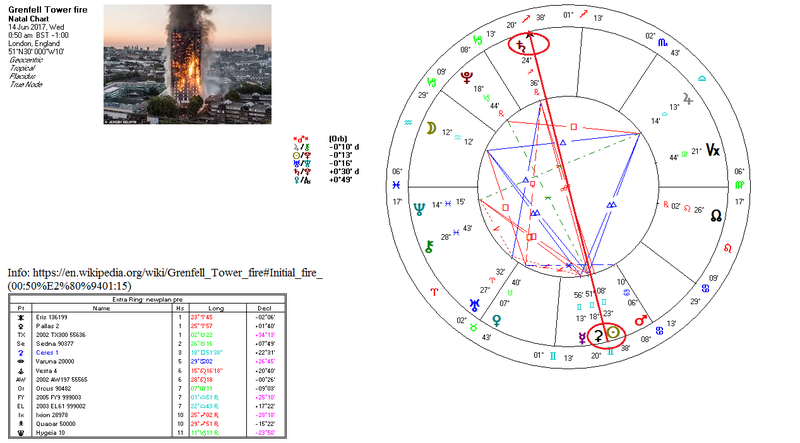 In the first Aries letter this year mention was made of the full moon axis lying across Aries points and how this would likely produce very significant events, and it has yielded fruit. This happens every 38 years and it always produces powerful results. And now we have the astrological blue moon of Aries, which in turn will produce significant events. We will look at why later, but first we take a more esoteric look at Aries and what this festival means for us. Aries, and a story: We discussed the basic characteristics of Aries and its rulers last time, so we won’t cover that again here. Instead we want to look at Aries in relation to consciousness, the principle of love and how the ‘Christ’ manifests through Aries. I grew up in the Christian world, in the South of the US. Easter is a big deal. Perhaps here is my story for this letter. To my family, Easter was not so much about church (It was to my mother.) as it was a celebration of childhood. Like Halloween, Easter was about sweets – chocolate eggs, disgusting (now) little sweets in the shape of chickens and rabbits and having to search for them before we could enjoy them. Symbolic, really. I had no real appreciation of Easter until after I was grown. After we were allowed to have one sweet in the morning (after a breakfast of Cap’n Crunch or some other sugary cereal), we were dressed up in our Sunday best and bundled off to church. There we would listen to the story of Jesus’ crucifixion and resurrection. It was supposed to be a happy tale (the resurrection) but the story of the crucifixion always ruined it for me. Now, living here in Italy, there are images all over of the dead and crucified Christ, still hanging on the cross, with the story of his via crucis – really rather morbid and macabre, actually. But one of the big highlights of Easter was the annual Burlington Easter Egg Hunt in the City Park. Now it’s Breakfast with the Easter Bunny. 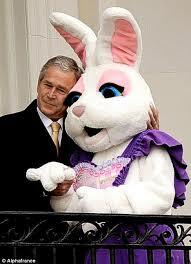 (Don't forget your camera to take a picture with the Easter Bunny!) Hundreds of kids would show up on the morning of the day, usually a Saturday – had to go to church on Sunday – to search for the Golden Egg. If you were lucky enough to find it, it was good for a $50 gift certificate and your picture in the “Times News”, the local paper. Fifty bucks was a good chunk of change in those days. I was never lucky enough to find the egg (I only attended once), but that was in the days when it was safe to walk around in the park, even without your parents. You just had to be on time for lunch after the event. 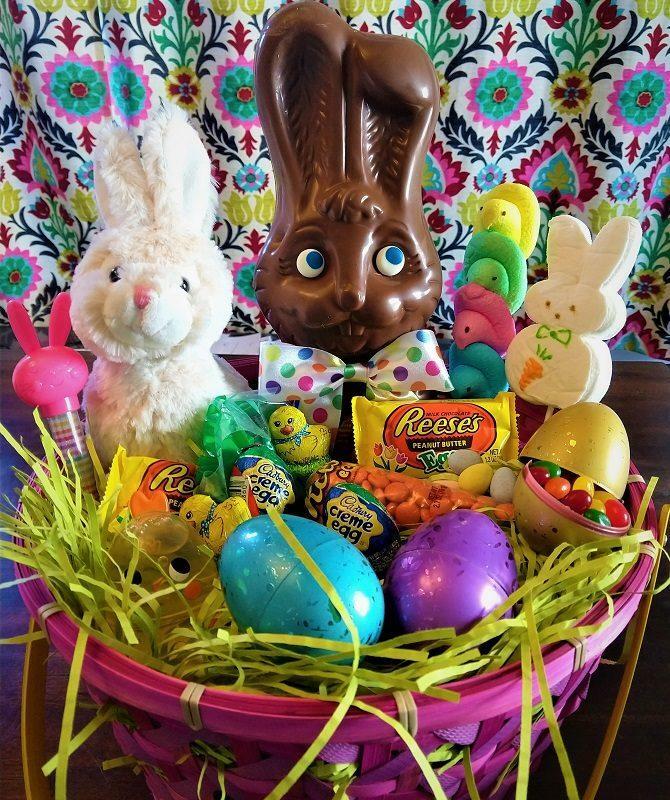 Like Christmas, Easter is heavily commercialized in the US. The spirit of the festival is lost on most people. Now it is seen as a time to gather with family and friends and for kids to gorge themselves silly on candy. This eventually “leads through the golden gate to the city of free souls”. This is done through service, through self-forgetfulness and through meditative practice, all taken together. 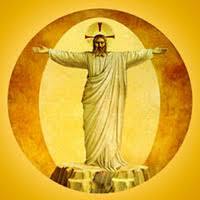 It was the path that Jesus demonstrated through the example of his life, whether we see it as allegory or as fact. Either way, the path as outlined in his story is spiritual fact. And in so doing, we find the ‘golden thread of truth’ which leads to our highest essence and universal consciousness. There is also an analogy between physical gold, money, service and the dual path – one leading to endless rebirth and the other to liberation. The golden thread, the golden gate, the golden bowl and so forth, all lead to liberation and enlightenment. And the use of gold in service can lead to liberation for humanity, when used selflessly and in the spirit of giving/sharing. We’ll get to the latter point after the full moon. But how does all this relate to the Easter Festival? And why is Aries associated with Easter? The answer to the latter question is that Aries represents birth into a new order of being, represented to us in the northern climes by spring, with life springing forth from the (apparently) dead and frozen earth. And the relation to Christ and Christianity? Buddhi is associated with Mercury, the esoteric ruler of Aries. And on a further technical note, this is achieved through the right use and direction of prana via the etheric body. In Buddhism this is called controlling the winds. Anyone who has practised meditation for any amount of time can tell you that there is always a sense of renewal after having entered and emerged from the deeper states of meditation. 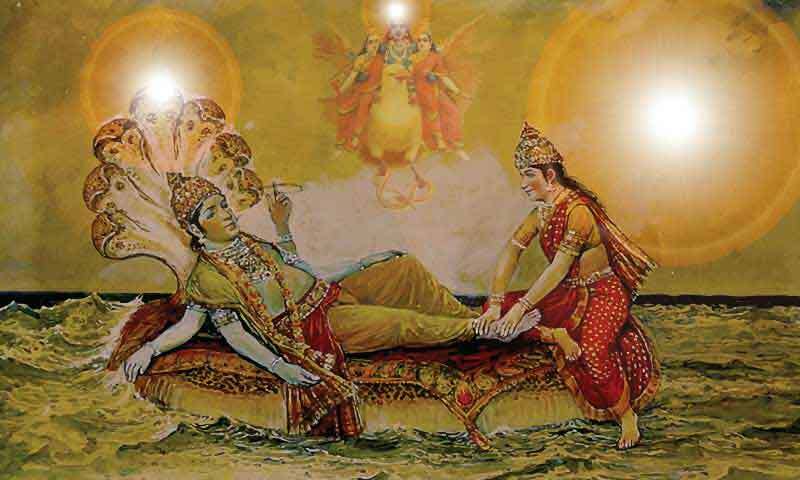 Unconsciously at first, the breath comes under the control of the higher Self and the etheric body becomes energized. Obstructions are removed. The mind is clearer, the emotions pacified. Insight thus comes. The ‘golden disc’ is progressively ‘pierced’. This is the more occult description of how the ‘Christ light’ is approached. But what does this mean in human terms? This relates to the example set by all the true spiritual teachers of the world: They become emanating sources for the light, love and wisdom they receive, thereby ‘turning water to wine’, ‘nourishing the multitudes with a single loaf of bread and a fish’, ‘teaching people to fish instead of giving them a fish’, and so forth. There are similar analogies in every religion. In effect, a true teacher will willingly share what they have with anyone who is ready to listen, ‘casting not their pearls before swine’. When Buddhists talk about a teacher being an Emanation, this is exactly the sort of scenario we are discussing. Some people emanate calm, some emanate wisdom, emanate intelligence, emanate love, and so forth. All of these are of service. The important thing is to maintain the inner connection, and moreover, to practise. It is only through practising – whether it be what we preach or a discipline that maintains our contact ‘with the worlds beyond’ – that we progress. When we can adequately maintain such a state of non-duality, i.e, a state wherein we live as much as possible as souls in our physical daily lives, we live according to the ‘Christ principle’. The soul is analogous with the Christ within. The soul is neither spirit nor personality. It is the middle principle. It is the attractive principle in everything, that which draws everything together. It is the great unifying principle in nature, non-dual, connected, the channel between the universal and the particular, that which puts us in contact with the infinite sea of Consciousness of which we are but a drop, yet connected with all others. 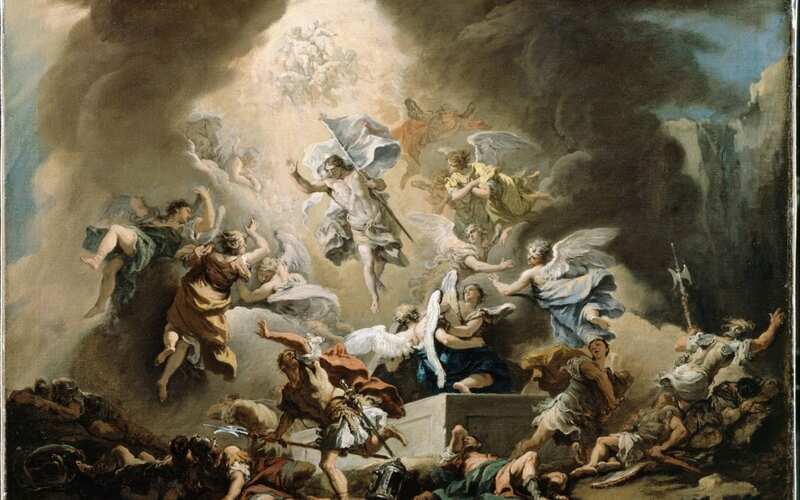 Easter and service: Regardless of our spiritual or religious orientation, the Easter festival – or if you prefer, the Aries festival, or April full moon – is the celebration of our inherent interconnection, the realization that we are in truth never separate from anyone else. It is the celebration of that which renews us, that saves us, that connects us with each other, and which fosters the growth of that which will flower eventually into ‘the brotherhood of nations’ and which saves us from ourselves. It is not external. No person can give that to us or do it for us. We do it by fostering goodwill, showing compassion, sharing what we know, giving what we can in service. In doing so, evolution will take us swiftly to the ‘golden gate’ beyond which lies the ‘golden egg’ for which we have been searching along our long series of lifetimes. And when we find it, we are given a gift without price, a gift to ourselves, and even more importantly, a gift for all those who come along after us. That golden egg emanates a brilliant golden light, illuminating the Way. It is ours to share. And share, we must. All we have to do is realize it. Aries, the Christ light, renewal, birth into greater light – these are the things we celebrate at Easter, or should do – forgetting our own individual via crucis and finding joy in our work together. So, what about this full moon, this 2nd Aries festival for this year? The full moon takes place on 19 Apr 2019 at 11:12 UT (9:12 PM AEST). 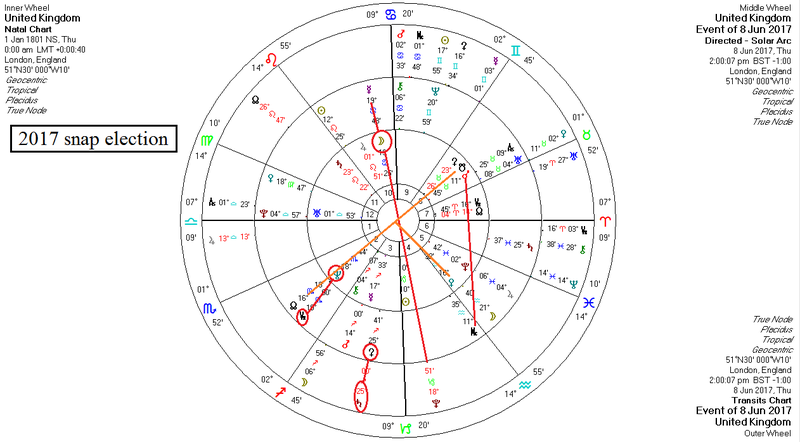 The full moon figure is quite dynamic, with the Sun conjunct Uranus, strong quintile activity and several octal-based geometric patterns in the chart, especially if one includes Ceres as a planet, which I do now as a matter of course. There are two interlocked quintile triangles, two wide t-squares, a trapezoid with a Moon/Mars sesquisquare as the wide base, and a hard rectangle. What more could one ask for in terms of moving energy? 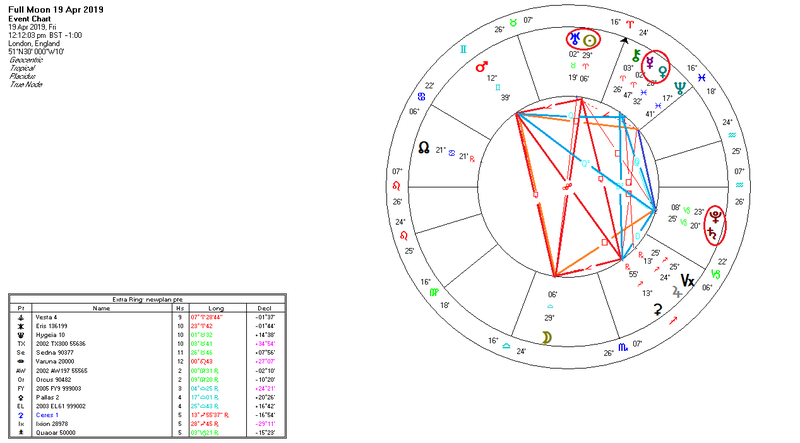 One of the t-squares has Pluto as the apex with the full moon axis, which marks the figure as one that clears a path toward greater soul expression, producing those crises which should serve to draw out the soul. That t-square also has Saturn within 2 ½ degrees of Pluto, effectively a conjunction, that conjunction being particularly important in the first part of next year and signaling many important changes in the world. One thing to point out with this figure, which I don’t normally do, are a few significant midpoints in the chart. One of the more important ones involves two of the rulers of Aries, Mars and Uranus: Mars=Uranus/Pluto, “the stage of bending or breaking”. At its worst it can be quite a destructive combination. At its best it signifies the ability to overcome and to precipitate events. Mars goes out-of-bounds (OOB) two days later, which is why I am citing these. A planet is OOB when it goes beyond 23.5° of declination. Mars OOB often spells trouble in the world at large, with larger and more violent events, as well as acts of heroism and courage. It will remain OOB until 13 June. Another important midpoint in the figure also involves Mars and another of the rulers of Aries, Mercury. The midpoint, Mercury=Mars/Pluto, goes toward excessive nervous irritation and overwork of the nervous system, at the same time giving a strong presence of mind and the ability to work through plans to the point of exhaustion or fanaticism. 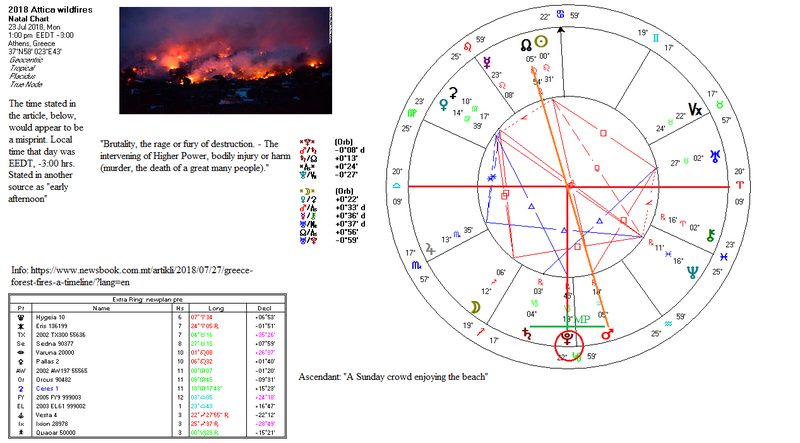 A third important midpoint is the combination Node=Saturn/Pluto, which can indicate shared suffering and the pain experienced by the masses. At its best it points toward tenacity and toughness, the ability to overcome any sort of obstacle, of endurance and the ability to make record efforts of a high order. At its worst it points to cataclysms and mass deaths. 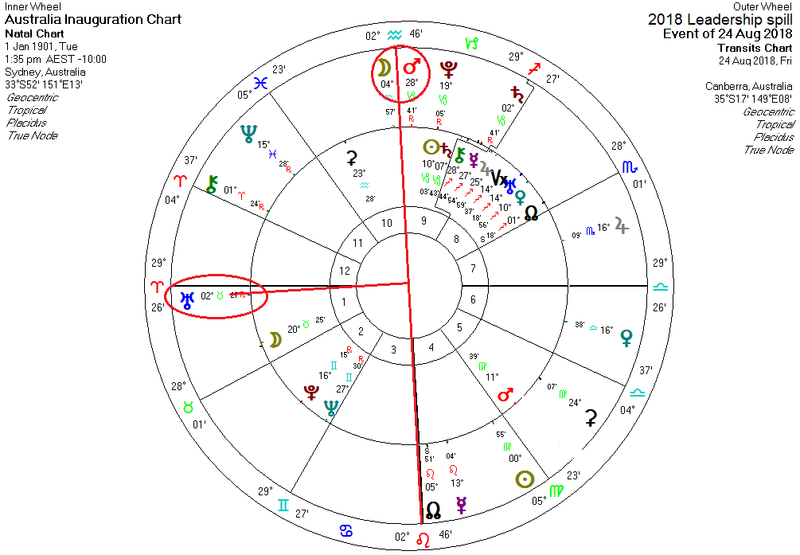 Mars out-of-bounds: What do we see in these midpoints, then? We see that this full moon indicates a point of precipitation, either of a major conflict, disaster or experience of mass crisis, or of the emergence of heroic efforts along some line – and probably both. Given that Mars will go out of bounds a couple of days after the full moon – indeed in the full moon period – we can expect significant events. The last time Mars was OOB was from 8 Jul – 24 Sep 2018. 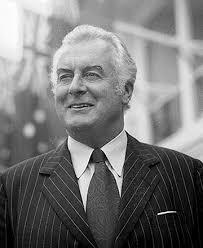 In that period there was the leadership spill in Australia, the Morandi Bridge collapse, the Caspian Sea Convention, the Kerala floods in India, re-imposition of sanctions on Iran by the US, the Ebola outbreak in the DRC, the Facebook scandal, the Greek wildfires, the largest bilateral free trade deal ever, signed between Japan and the EU, and the 12 boys rescued from their 17-day ordeal in a cave in Thailand. 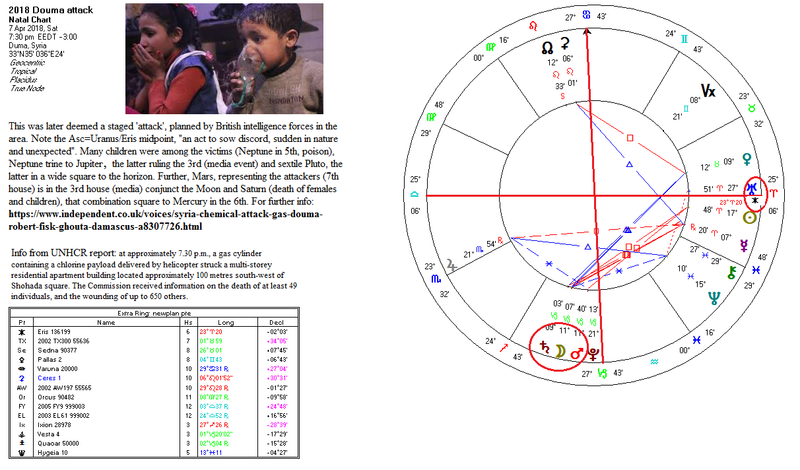 The time before that, when Mars was briefly OOB from 18 Mar – 7 Apr 2018, the period started with the re-election of Putin and ended with the supposed sarin gas attack (later de-bunked) in Douma. There were also four terrible accidents/tragedies (including Kemerovo), the expulsion of over 100 Russian diplomats as a result of the Skripal poisoning, demonstrations against gun violence in over 900 cities, and the extinction of the northern white rhino. The time before that was the 15th May to the 28th Jun 2017. In that period there was the terrorist bombing at the Ariana Grande concert in the UK, the withdrawal of the US from the Paris Climate Agreement, the London Bridge terrorist attack, the blockade of Qatar, terrorist attacks in Tehran, May losing the Conservative majority in Parliament by calling a snap election, the Grenfell Tower fire, the Otto Warmbier saga, and the Petya malware attacks in Ukraine. What we see, then, is true to the actions of Mars: There are disasters and acts of barbarism amidst acts of great courage and heroism when Mars goes out of bounds. Given that this ushers in the Taurus interval and is the Easter festival, any events that are precipitated are likely to have more than the usual spiritual importance. And this brings us to our main points of consideration for this letter. But, my brothers, [some] men will fight to prevent this; the reactionary groups in every country will neither recognise the need for, nor desire this new world order which the liberation of cosmic energy [nuclear power] (even on this initial tiny scale) can make possible; the vested interests, the big cartels, trusts and monopolies that controlled the past few decades, preceding this world war, will mobilise their resources and fight to the death to prevent the extinction of their sources of income; they will not permit, if they can help it, the passing of the control of this illimitable power into the hands of the masses, to whom it rightly belongs. The selfish interests among the big stockholders, the banking firms and the wealthy organised churches will oppose all change, except in so far as it will benefit them and bring more financial gain to their coffers. Signs of this opposition can already be seen in the utterances of certain powerful men who are today encouraging a gloomy outlook in London and in Washington and elsewhere; the Vatican, that wealthy and reactionary ecclesiastical organisation, has already expressed its disfavour, because that Church knows—as do all the vested and monied interests—that their days are numbered, provided humanity governs its decisions during the next fifty years by the idea of the greatest good to the greatest number. World decisions must therefore, in the future, be based upon a steady determination to further right human relations and to prevent selfish control, financial or ecclesiastical, by any group of men, anywhere, in any country. We believe the determination of Great Britain, the United States, and Canada, who are in possession of the secrets [of nuclear energy], is along these lines. Missing the mark: We have missed the 50-year mark. 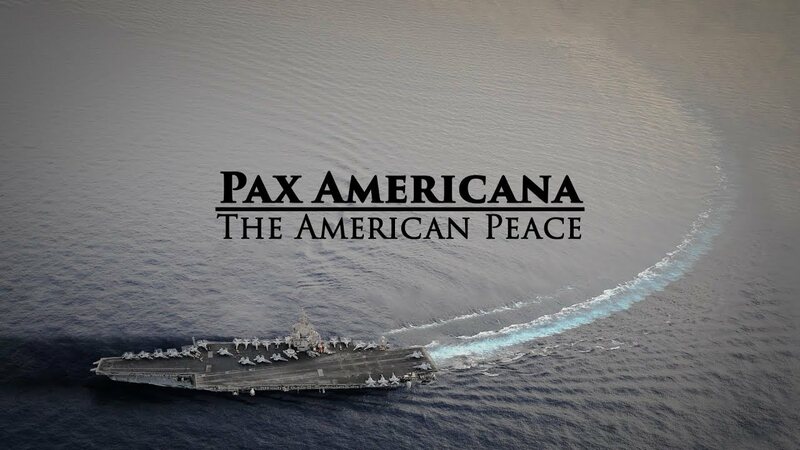 What we have had since the end of WWII is an overly dominant United States that then controlled 50% of the world’s wealth – Pax Americana – and has fought ever since to maintain it. It will be of more than a little interest to realize that those words in the quote were first printed in 1957, and fifty years later, what did we have? 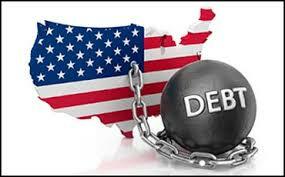 The biggest financial collapse since the Great Depression, worldwide. It was engineered. More on that as we go along. The first paragraph of the quote has been possible for some time, since the end of the World War. That it has not been attained is obvious. The question is why, and that was answered for us in the succeeding two paragraphs. Clearly, the reactionary forces mentioned above have held sway, and increasingly, since the end of the World War. We might argue otherwise, saying that poverty has been reduced in the world and the overall world population has enjoyed a level of material security and wealth never seen before. In some respects that is true. But when we look at nations like the US, Canada and the UK, as mentioned in the quote, what we see is a trend toward to opposite. As was warned against, what we have seen in the past decades is an accelerated transfer of wealth into the hands of the few at the expense of the many. This has been done in graded steps over the years, beginning with the Nixon Shock (1971), deliberately and in the face of the ignorance of the public, and all the while the media hails the benefits of the systems under which we now live. Who are these ‘reactionary forces’? A reactionary is defined as anyone who wishes to restore the status quo ante – i.e., the previously existing state of affairs, whatever that might be. MAGA is an instance of this. They can be either right or left wing, communist or capitalist, extremist or not, but they are ordinarily painted with a conservative brush. That would be a mistake. We see this in the US in Republicans and Democrats, in Russia with people who want a return to socialism, in religious reactionary politics (as in the US, and Australia) and in Israel and the Muslim world, too, with the rise of fundamentalism. Essentially, the reactionary forces are those who oppose social progress, or to put it more pointedly, who oppose progressive policies. It is a topic that causes heated discussions on social media, with all sides of the argument stating the justness of their views. It will be an even more heated debate in the next years as the system under which we are living becomes ever more unstable and unsustainable and reactionary forces lose their ground. In the same connection, among the lower aspects of the sixth ray are to be found all forms of dogmatic, authoritative religion as expressed by the organised and orthodox churches. All formulated theologies are the lower expression of the higher spiritual truths because they embody the mind reactions of the religious man, his confidence in his own personal mind deductions and the surety that he is obviously right. They do not embody the spiritual values as they truly exist. Consequently the dreadful nature of the lower expressions of the sixth ray and the control by the forces of separativeness (which are ever the outstanding characteristic of the lower sixth ray activity) can be seen [Page 40] nowhere more potently than in religious and Church history with its hatreds and bigotry, its pomp and luxurious appeal to the outer ear and eye, and its separativeness from all other forms of faith as well as its internal dissensions, its protesting groups and its cliques [sects] and cabals. …man's salvation is determined by the processes of evolution and is not a question of ultimate achievement but simply one of time [the processes of evolution, in other words]…the life within a man will bring him ultimately to his goal and that the experiences and the type of incarnation will inevitably lead him to "his desired haven." His salvation is not determined by his acceptance of some dogma, formulated by men who have lost their sense of proportion (and consequently their sense of humor) and who deem themselves capable of interpreting the mind of God for their fellowmen. These quotes on religion go hand-in-glove with our present politico-economic system, which recently has been ‘invaded’ by such fundamentalist religious strains, Christian, Muslim and otherwise. Thus, the reactionary elements have co-opted religion to fulfill their material purposes. 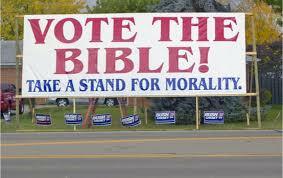 This is not to say that all religious people in politics are reactionary. Quite the contrary. But the more fundamentalist, dogmatic strains of it are definitely reactionary. Our existing order over the past decades for most readers has been capitalist, somewhat democratic (one might say pseudo-democratic), oil-based and neo-liberal. Very soon after that economic order was established (in the 1970s) we saw the rise of ‘the religious right’ throughout the Western world, but especially in the United States. That is changing. Oil and nuclear: And as we are moving from the Piscean to the Aquarian Age, Neptune and oil figure prominently in this mix. Oil is still king in terms of energy. Along with all of this, there has been a steady dismantling of state infrastructure in the West, with infrastructure being placed into private hands. Jobs have gone offshore. They are not coming back. We must create new ones. Health has been placed into the hands of profit-driven contractors – think on that one for a bit. It is at the root of the prescription pharmaceutical crises we see today. Nations like the United States and Italy are becoming failed states. Nuclear energy has not been vigorously researched as it should have been, referring back to the long quote preceding, except in certain cases, that research instead going into weaponry in most cases. The dangers of nuclear power are trumpeted instead of making certain it is safe, to the extent that some nations, like Germany, want to close it down altogether. But consider this: Nuclear energy is solar fire, solar fire representing the soul, the ‘fire of love/consciousness’. Oil is material fire, or fire by friction. The analogy is clear. The everyday energy interests in the three nations mentioned in the quote are all focused around oil, the Piscean/Neptunian energy source – the energy that is/should be passing out. It is thus an increasingly regressive influence when put forward as the main way of life. Gas, analogous with gaseous elements in general and thus thought, is seen as a transition energy source. Well it may be, but it is still petroleum-based. That is one of the main subjective reasons why hydrocarbons must pass out of usage except in special cases. And that is not even counting the costs of climate change and pollution. If research and development had been poured into the peaceful and clean uses of the atom instead of its use for ‘security’ and aggression, who knows where we would be now? A small tangent is in order here. There are clean sources of fission nuclear energy, but these are left virtually untouched, except in Russia. One of the main uses for many nuclear reactors is for the production of material for nuclear weapons, aside from power, and those produce significant nuclear waste. There are two nations of particular interest in the production of cleaner nuclear energy, though, and those are India and Russia. Russia, remembering it has a 7th ray soul, is the only nation in the world that has a reactor that actually burns nuclear waste, and produces none. 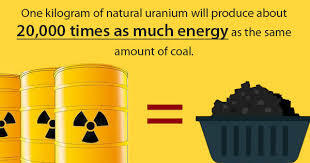 In fact, it produces its own fuel from nuclear waste. We might call such a process ‘nuclear alchemy’. This one reactor is housed deep within an old mine, and it produces enough electricity to power over 3 million homes. If there were enough of these reactors operational there would be no more nuclear waste within the space of a few decades. Why mention is made of Russia’s 7th ray soul is that the 7th ray is associated with the mineral kingdom, the transmutation of elements and nuclear energy by extension. It is the energy of the Aquarian Age, along with electricity (which it is used to produce), which also carries the energy of the 7th ray. And we can already access the power of nuclear fusion via our life-giving energy source, the Sun. I know people who power their houses solely with solar panels, living off-grid. Of course, the energy interests and cabals see this as a threat, and there have been efforts to limit the use of solar panels. The other nation, India, has the biggest stores of any nation of a particular type nuclear fuel that shows great promise. That fuel is thorium. Thorium is termed as a ‘fertile’ rather than a ‘fissile’ fuel, and it needs processing to make it viable. But the fuel has many benefits, aside from the higher costs of using it. We don’t have the space to go into all the details here, but the linked article explains it. India has very low levels of uranium, but the high levels of thorium have prompted the Indian government to pursue the R&D necessary to produce the functional reactors. Given India’s high population density, such reactors would be a tremendous asset to India and solve many of its energy infrastructure problems. It is fast on its way toward bringing such thorium-fueled reactors into operation. India has a 1st ray soul, which is closely allied with the 7th ray. So, it is not surprising that these two nations are spearheading development of advanced nuclear energy solutions. 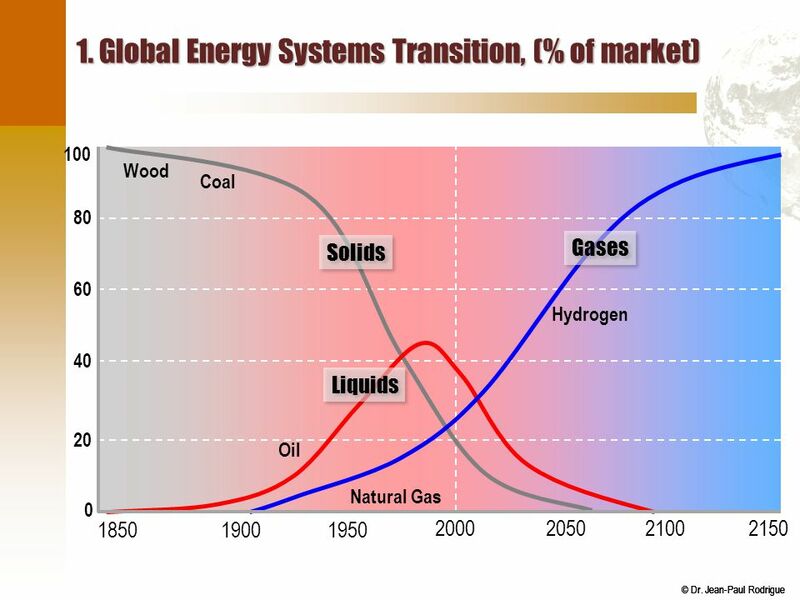 Transition energy: It is worth noting that fission energy, like we have now, is a transition phase to the full fusion energy of the sun, much like gas is in a move away from oil. And, we are in a transition period between the two astrological Ages. Fission is the splitting of atoms, whereas fusion forces them together. There are several efforts underway at producing fusion reactors, the most promising efforts being made in China, also with a 1st ray soul. True solar fire is fusion, and while we have made the first steps toward it, we still have a ways to go. Seen symbolically, we could also relate our human evolution to those first steps, in that we do not have universal recognition of the soul – scientific, verifiable recognition. What we have for the great majority of people at present is a faith-based realization of the soul. But once we achieve sustainable fusion reactors, it is probably not long from there that we will have the scientific recognition of the soul, which might possibly come out of France. That will signify one of the most amazing shifts in human life and consciousness in human history. Of interest, too, is that France relies on nuclear power for about 75% of its electricity. The physical realities are reflective of subjective advancement, or regression. Returning to the quote, and using the analogy of nuclear energy, we have reached or are nearing a critical mass of human awakening as to what has befallen us since the World War. We have covered much of this before, especially in the Gemini letter for last year, speaking about the present economic system we have now. Given that system, 40% of the world’s billionaires now live in the US, and they control politics in the US. There have been a couple of scandals recently in the US that illustrate this quite well – the college admissions scandal and the Ted Cruz Citibank and Goldman Sachs scandal. It is a similar situation in the UK and in Canada, and in other nations as well. And certain billionaires also control the foreign and domestic policy of the US, as witness all the moves made by the Trump administration towards Israel. What has happened since the World War is that, in the name of ‘freedom’, financial protections for the public/regulations on financial dealings have been steadily removed, and the media, which has also been bought, has been used as one of the chief tools for achieving it. We won’t go over it here, as we have looked at it before, except to make a few points. The changing Middle East, which is increasingly looking East. This includes Turkey, increasingly finding itself alienated from NATO. The growing separation of the European continent from the US, politically and financially. This has been accelerated under Trump, but it has been brewing for some time. The coming Korean powerhouse, without the US. The US is about to lose controlling influence over the Koreas in the next years. The waning power of the West. This is due to a lack of true political leadership, the corrupting power of our current economics, and a long list of poor policy and strategic decisions, plus the rising power of the East. All of these changing scenarios can be traced more or less mainly to the effects of laissez faire capitalism (market-based economics, globalism, neo-liberal economics, etc. ), begun with the fiat currency and its incompatibility with democracy. Any system that concentrates power and influence in the hands of the few is by its very nature undemocratic. But things are changing there, too. We are seeing a return to gold as a medium of exchange, especially between Russia and China. In the Chinese New Year letter for this year, the year was outlined as one having its main focus as one of economics. This is supported by the transit of Uranus through Taurus, but it was presaged by the Uranus transit through Aries, which gave the public a new view of what is actually troubling them. 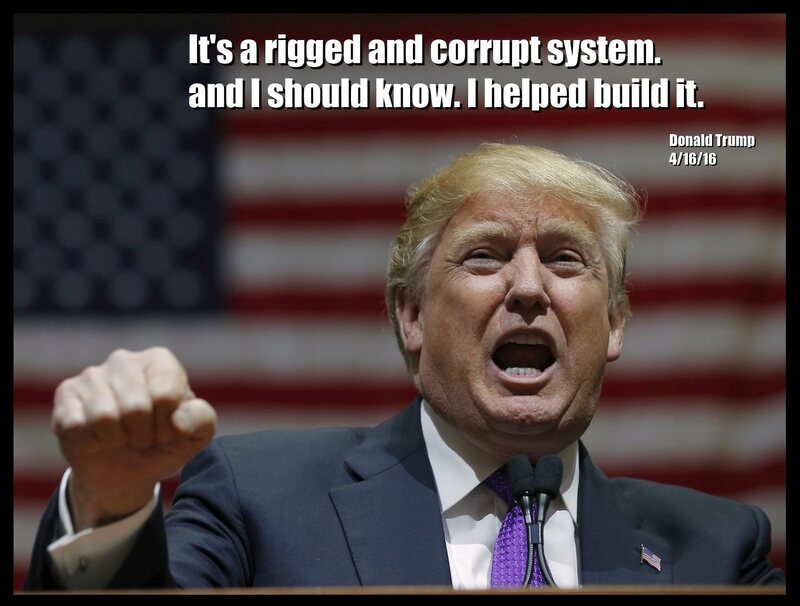 Most people in Western democracies now hold the view that ‘the system is rigged’, that a great many politicians are only out for themselves and that fundamental changes in our government policies and even politicians are needed to set society on a better, more humane course. Leaders have appeared from time to time who have attempted to set their nations on a better, more progressive course, and they have succeeded for a time. These are leaders who have emanated the Christ principle to their public in some degree. But the result is always the same, too: the reactionary forces in their home nations work their worst to overthrow the changes these people bring and to restore advantage to themselves. There have been many such leaders in the past 100 years and their names are well known – Allende, Chavez, Whitlam, Wilson, Bevan, Roosevelt (Franklin), Havel, Wałęsa, the Dalai Lama, Kennedy (both of them), King, Varoufakis, Sanders, Lula, Di Maio, Castro, just to name a few. The list is long. Many readers will have problems with some of them and strong opinions, but they all had certain things in common. The first thing the great majority these leaders have/had in common is that they worked toward restoring a measure of rule by the people of their nation. Workers’ rights, social welfare (that dirty word in the US) rolling back of militarism, free education, universal health care and so on are all fairly typical of the policies of these people. As a result, all of them were or have been marginalized, subjected to coups, smeared and even assassinated as a result of their work, their programs dismantled over time and any mention of them now followed by a stream of comment on the dangers of socialism, for instance, and how their policies helped to bankrupt and corrupt their nations. The latter is propaganda aimed at ‘putting the fear of God’ into people when it comes to socialism and progressive policies. In the US it has been quite successful. It is difficult to find reasoned, balanced consideration of their policies, no matter the nation, what those people actually represented and why their policies were seen to have failed, the latter failing to take into account the resistance they met from vested interests, open and covert. Conservative media outlets are consistently used as attack agents against progressive policies, and this is especially evident in the US and the UK, where media giants like Murdoch, Bezos, Sinclair and others reign supreme. Another collapse? : And now in the US, where much of this started, for the past two years because of de-regulation (‘freedom’ in other words), banks and other financial companies have issued more than $1 trillion in risky corporate loans, which is exactly what was happening before the 2008 financial crash. The protections put in place then have been swept away under the Trump administration. True, it has injected money into the economy, but quite a bit of it has been in the form of ‘leveraged loans’, i.e., loans to companies that are on shaky ground financially and who may not be able to pay off their debts. The other thing it has done is to enable stock buy-backs, boosting the stock market (Wall St.), but not in general benefitting the average worker. To round out these considerations, the other thing that is becoming clear as the years go by is that neither system on its own – capitalist/libertarian or communist/socialist – succeeds for very long. Both extremes tend to concentrate power and wealth in the hands of a few, the result of human selfishness. And then, there is the falsehood we have been sold in capitalist nations where fiat currencies hold sway, that because of our debt levels we cannot afford social programs. We have such debt for a variety of factors, most of which are due to financial and political interests who overspend, pull away wealth from where it is needed, military misadventures in an effort to control resources. Most Americans do not realize that the reason we have the fiat dollar is because we could not pay for the Vietnam war. It was also done for short-term political gain, without any real thought of long-term consequences. Military spending is a huge drain on any economy, which is why nations like Germany and Russia have seen the light and are cutting back on it. Instead, they are focusing on their social welfare and building their infrastructure. Our debt levels are manufactured, (here, here, here, here) precisely to prevent spending on infrastructure, empowering the public and promoting social progress, and instead to favor the moneyed, powerful few. 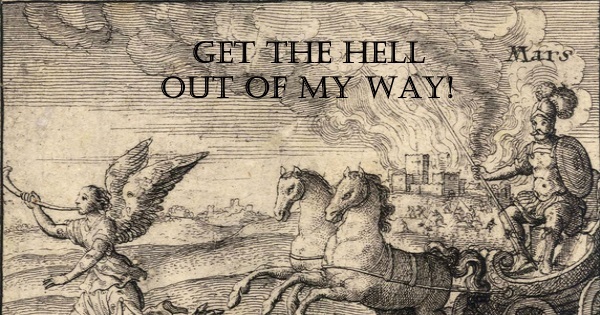 The path to liberation: As I was finishing this letter I ran across an article that explains what needs to be done quite well, and also offers a few insights into enlightenment, good themes for our Easter considerations this year. The path to liberating humanity is the same as the path to liberating the individual. It is a theme we have examined many times before. The article is worth reading all the way through. Unless we can show the Christ light (live as souls) at a very functional, demonstrative, practical level we will not change the world in the way we know it can be. Esotericists often fail because they come from too high a level. The reference to that escapes me at the moment, but the point is, if we talk constantly in an esoteric echo chamber and do not give practical measures to address problems, we may as well talk to ourselves alone in the woods. It is of little service to those most in need. People’s material needs (not desires) must be addressed if we are to see any progress, if we are to renew our societies. Value to life must be restored, and money must reflect that. Value must also be restored to politics, too – human values, cultural values and so on. The reactionary forces almost succeeded in their quest for total dominance and control, but the human spirit has no price, and nothing will quell it for long. We are indeed at a critical mass in our collective awakening. We just need that extra little push to make our voices heard and headed. It is coming. It is close. All we need is more light. May yours shine brightly in these times ahead. 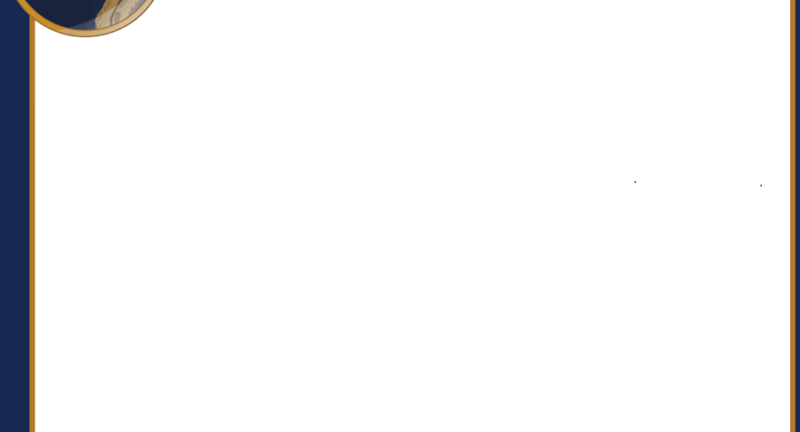 These letters are sent as a service. Feel free to pass them along, but do so without charge or alteration. If you wish to be added to or deleted from the mailing list, please let me know.